Google Classroom has made my workflow seamless. Recently I had a teacher ask how to have students, who are not document (or slides) owners, ‘submit’ work. I’ll admit, my workflow made my life a little harder. 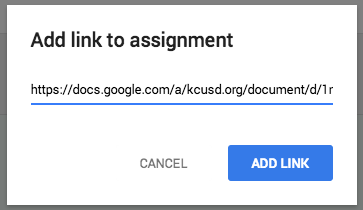 Then, one of my students – Frankie (I told him that he would get a shout out) – simply suggested having the non-owners submit the link for the assignments. So being the collaborative classroom, we gave Frankie a Class Dojo point for helpfulness, and celebrated his brilliance. 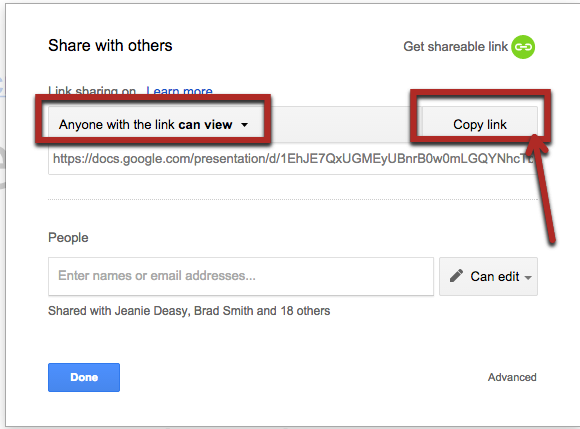 How Do Students Submit a Link? 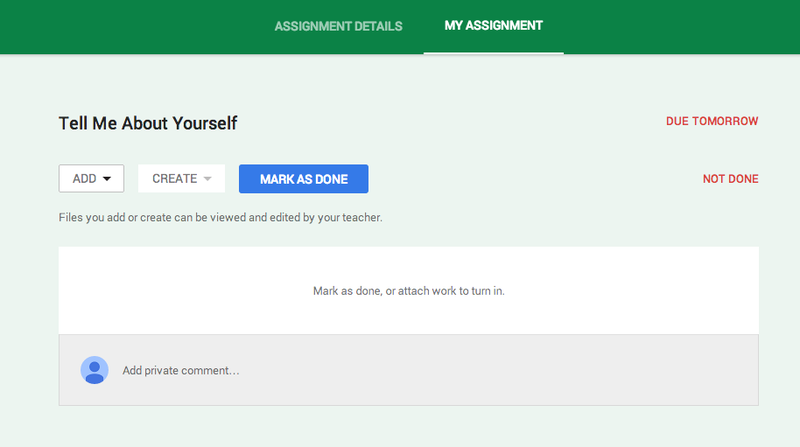 While the students are in their Assignment, they have the option to ‘Add’, ‘Create’, or ‘Mark as Done’. If your students have been working collaboratively on a project, they most likely have created it within their Drive and shared with others. Now, the owner is the only person who has rights to submit the document. They will do this by choosing ‘ADD’ then ‘Google Drive’ and proceed to find the project. The non-owners, will need to locate the documents link, and be sure that ‘anyone with the link can view’. They will then Copy this link in the assignment. However, they will choose ‘Link’ and paste the code there.